I didn't expect to come this close upon rough-legged buzzards today. 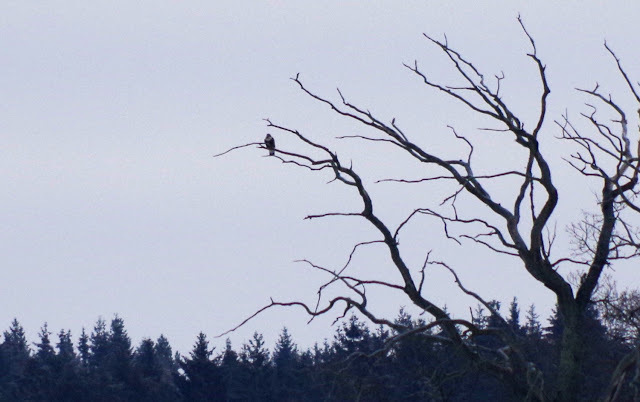 We went to lake Hornborgasjön to watch the white-tailed and golden eagles that are being fed there during the winter, saw the white-tailed ones at a comfortable distance (for them, not for my camera), and this pair of rough-legged buzzards appeared, much to our surprise and joy. Trandansen, Hornborgasjön, Falköping, January 6, 2016. Pentax K50, ISO 200, 300mm, f/11, 1/400. Pentax K50, ISO 200, 300mm, f/7.1, 1/800.